Salt Lake Comic Con (SLCom) was really a success in many ways, but it also failed in many aspects, but a lot of that lies on what you expected going into the convention. SLCom was indeed one of the biggest conventions to date in Utah, but certainly not the biggest one around. It’s really important to put this convention into perspective of size in order to properly judge how well it did. Smaller local conventions in Utah have had great success reaching numbers over 6,000 tickets sold, most notably Anime Banzai in Layton. Those conventions usually get popular voice actors to come and run panels, Q&As and host events. Voice actors like Chris Rager and Vic Mignona are popular because they’re extremely sociable as they chat with fans, take pictures and even do signings; most of the time for free. Some of the more high profile actors start charging for signatures and photos averaging 20 dollars at the most. SLCom certainly had celebrities and while most were rather sociable allowing free photos and signings, the high profile celebrities charged for those services. Prices for photo ops and signings ranged from 50 to 75 dollars, twice as much as a local convention. To put those prices in perspective a signing at San Diego Comic Con and New York Comic Con can range from 100 up to 300 dollars. Suddenly, SLCom prices don’t seem quite as high. Another winning factor was the amount of celebrities and guest stars present at SLCom. Over three dozen guests were announced and actually attended while a small number of guests cancelled or had to leave early. Big stars like Lou Ferrigno, William Shatner, Adam West, John Romero and Stan Lee are quite notable a huge achievement for a first year convention. Remember the anime guests that were mentioned earlier? Some of those actors can be hard to get booked even for a convention on its third year. While the pickings were excellent for big stars at SLCom, there weren’t high profile movie stars there to promote or just attend like Hugh Jackman, Kevin Smith or Jamie Hyneman. Attendees expecting to bump elbows with stars were certainly going to be disappointed. The booths and exhibition hall were certainly above par. The pickings were vast ranging from notable artists like Tyler Kirkham and Greg Horn to local shops and artists. One notable difference from the big city conventions was the notable lack of booth babes, with the exception of the Kirkham booth. SLCom was great fun for me, though having to elbow people on the jam packed day 3 just to make it to the bathroom was certainly a burden as well as the discomforting con funk smell, it was fun. Panels were aplenty and fun, as discussed in the online coverage, and the celebrity opportunities were great as well. SLCom was certainly great depending on your expectations. As a seasoned convention attendant, I usually attend anywhere from 3 to 6 conventions a year, my expectations were met and even exceeded. 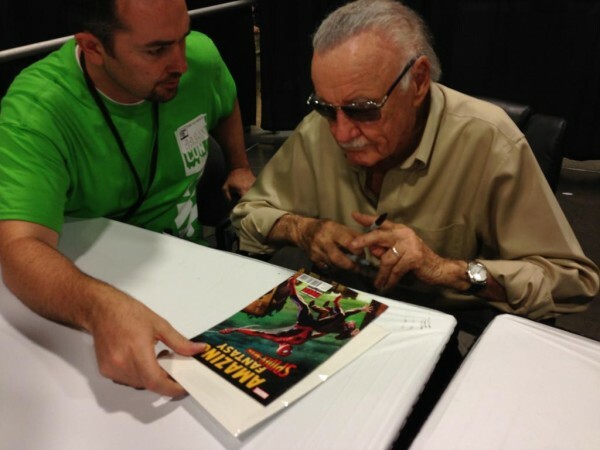 SLCom was certainly not without faults as guests and panels were cancelled and scheduling conflicts were present, such as Stan Lee having only a 20 minute panel event, but Salt Lake Comic Con 2013 was a definite success and a nearly perfect step in the right direction.